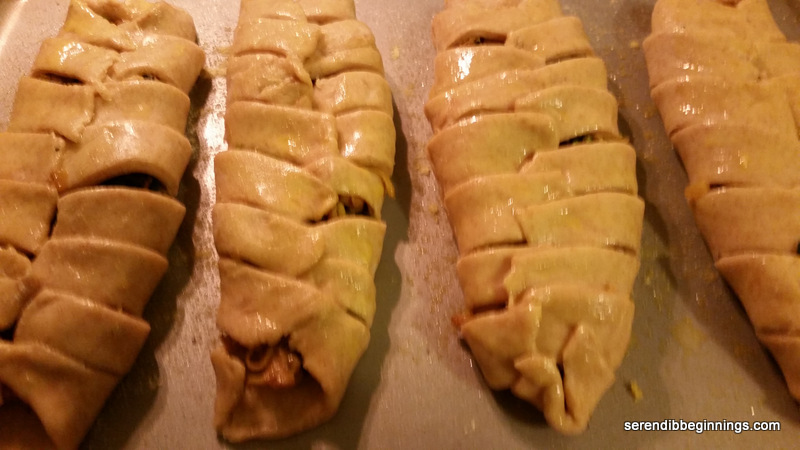 I am not going to make yet another apology for being ridiculously tardy with my postings, so I will just jump to the recipe at hand! Do you like fried chicken? Me neither! It’s not that it’s not yummy or satisfying. It sure is! The reason I don’t like it is because it is so damn bad for you…like looking at it on your plate makes you want to grab your chest like you can somehow feel the arteries getting clogged! Real fried chicken is definitely full of fat and calories – store-bought/ commercially prepared chunks likely brim with thousands of calories and more than a few days worth of saturated fat. So, yes, I don’t like them. I never order these from restaurants, but on a rare occasion, I do fantasize about biting into one with no regrets! Hence, this attempt at making an oven-fried version, which will not make it to any healthy dish list, but at least satisfies one’s annual craving for fried chicken without a whole lot of guilt. I wanted to emphasize a few words in the previous sentence as this chicken is still an indulgence in my opinion. Although I carefully trimmed out most of the excess fat and good portion of the skin, there is still some of that bad stuff on the chicken. In addition, even though I skipped the deep frying, there is still some oil drizzled on the chicken before baking. So, all in all, please do indulge and enjoy this dish, but try with all your might to only make it on a rare occasion or two. With that out of the way, this chicken is truly delicious. Marinating the meat in seasoned buttermilk (in my case, 1% milk soured with a bit of white vinegar) for 24 hours goes a long way in making sure the chicken tastes well seasoned and comes out juicy and delicious. Seasoning the flour mixture adds another layer of seasoning that makes the exterior of the chicken delectable as well. I debated going with just all-purpose flour, but then opted for a “house blend” of all-purpose, cornmeal, rice flour and cornstarch. In case you are wondering how I came up with this blend, honestly, 100% on a whim. I figured rice flour and cornstarch tend to make things crispy,cornmeal adds bit of a textural element and all-purpose flour, well, it’s “all-purpose”. I think this is a keeper! 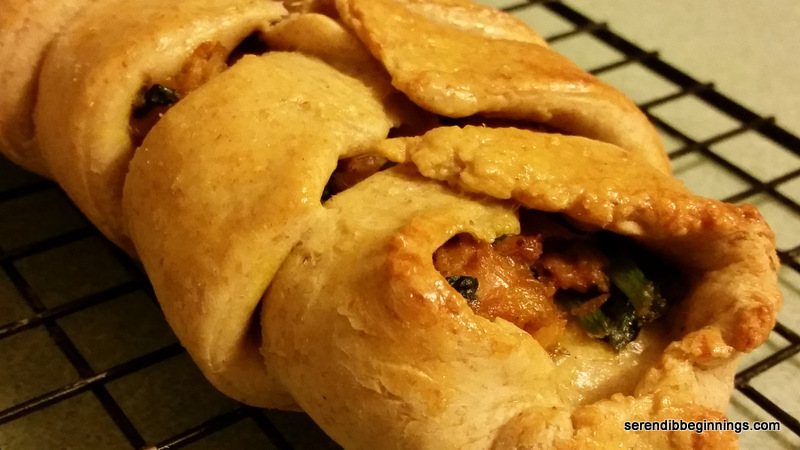 After all the waiting around with the marinating and long baking time, this recipe proved to be a winner. And the chicken tastes great even the next day! 1. Blend all marinade ingredients. 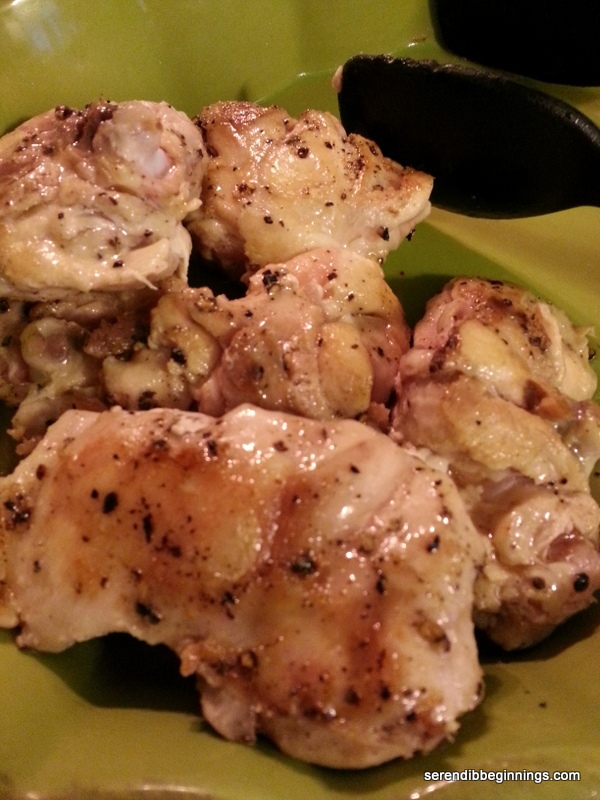 Pour over chicken thighs arranged in a baking dish, cover with plastic wrap and refrigerate overnight or up to 24 hours. 3. In a medium bowl, combine the flours with ingredients through parsley leaves. 4. 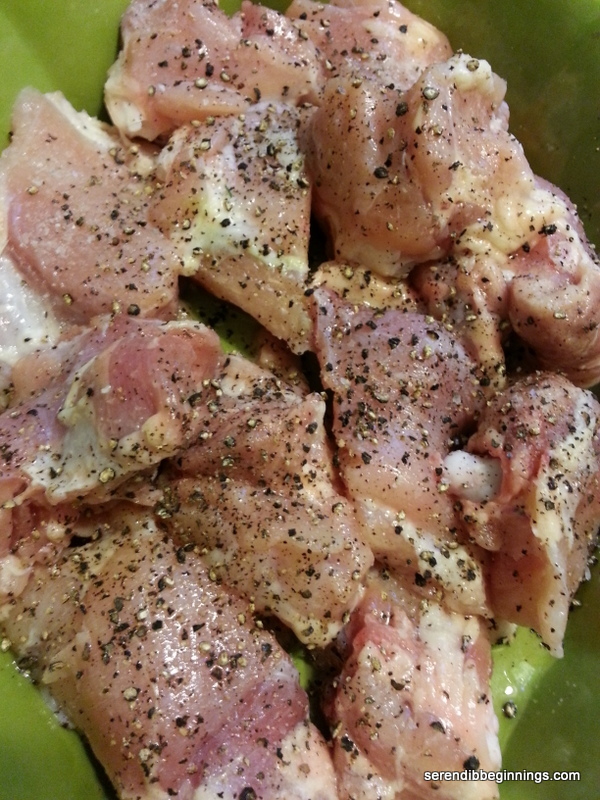 Remove chicken pieces from the marinade. Blot dry (I skipped this step because I was in a mad dash to the next step for no real good reason). 5. 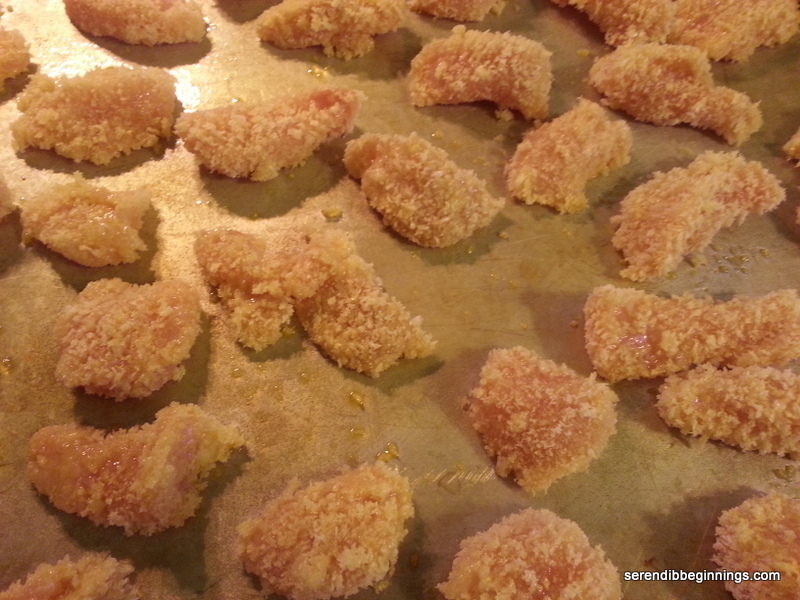 Toss the chicken pieces one at a time in the flour mixture until well coated. 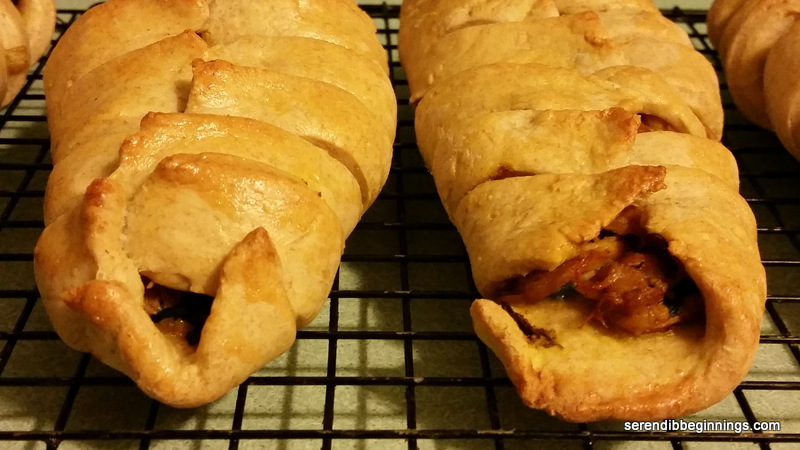 I even made sure some of the flour mixture got in between the slits on the skin side. 6. 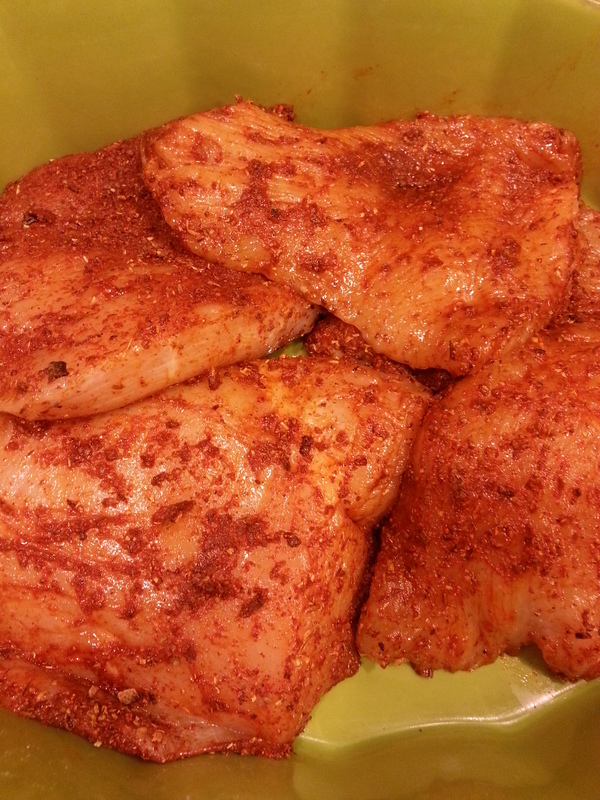 Arrange the coated chicken pieces on a baking tray lined with aluminum foil, skin side up. 7. Cover the chicken pieces with a good coating of cooking spray. Drizzle the oil evenly over all the chicken pieces. 8. Bake for 40 to 45 minutes till juices run clear and the chicken is cooked through. 9. 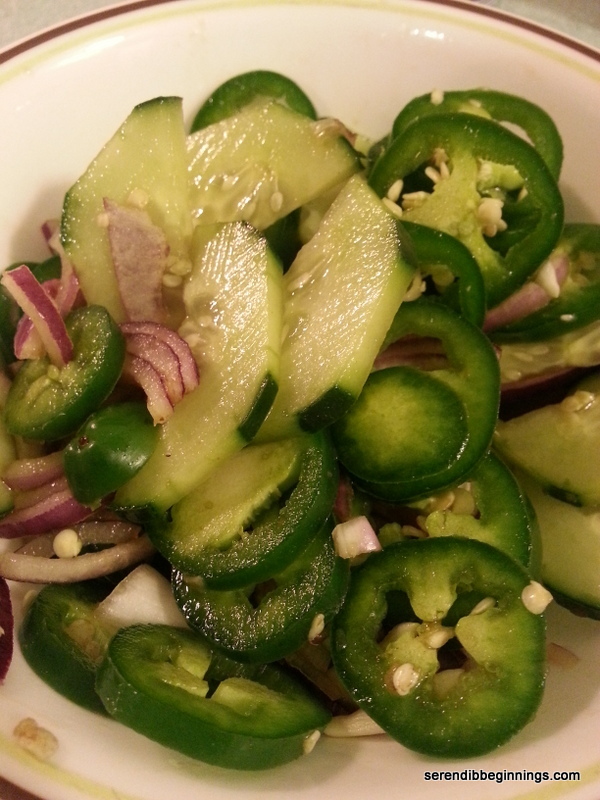 Serve with sides of your choice (Tip: a good serving of vegetable should at least take some of the guilt off!) Enjoy! Anything on a stick seems to elevate to the top when it comes to perfect finger foods that are enjoyed by all – although not all of them are good for you (was your first thought corndog??!). 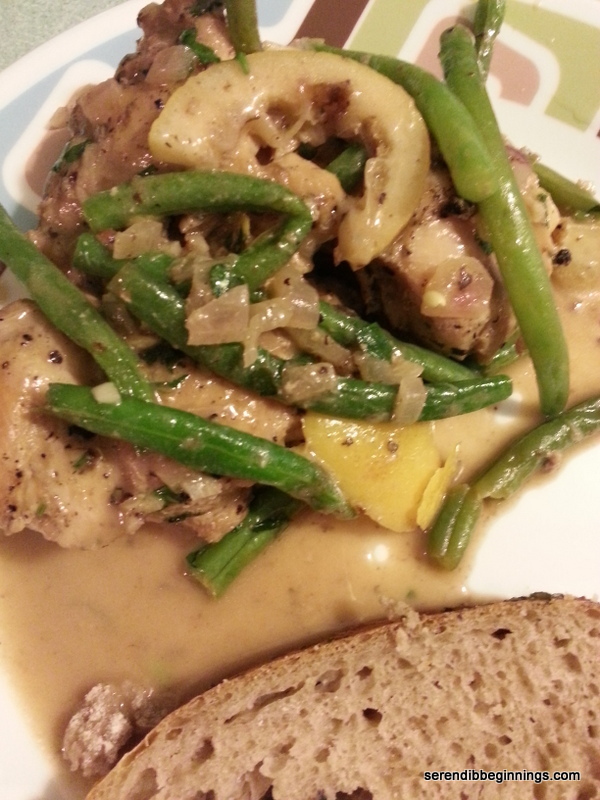 But this recipe is truly not that bad at all – especially if you use chicken breast although I used bones, skinless thighs! I don’t know if this belongs to the true “chicken satay” category. I probably have most of the satay marinade ingredients in this, but this is more of a general Asian flavor than any one particular cuisine. 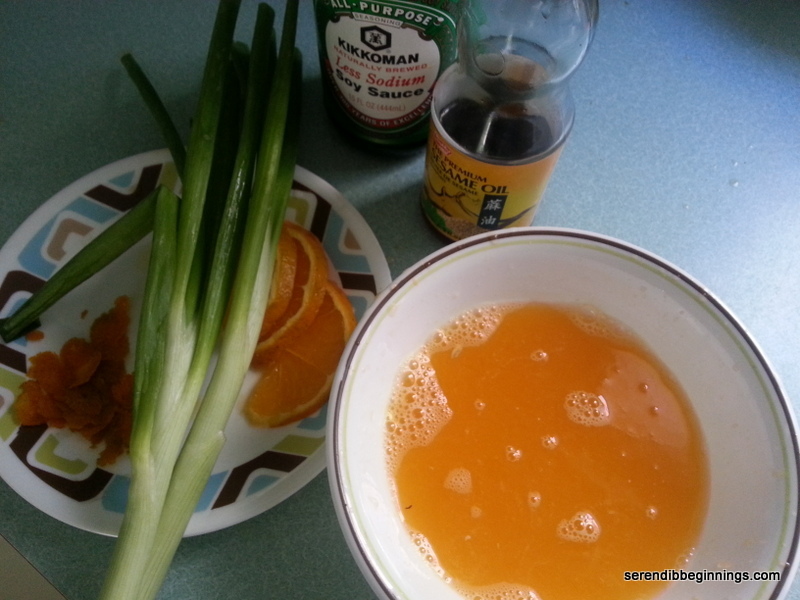 Marinade consists of sweet soy sauce (it is like molasses – dark and thick), regular soy sauce, dark sesame oil, ginger, garlic, honey, rice wine vinegar and green onions. There is not much to this recipe. Hardest part is probably cleaning the chicken to remove all excess fat and slicing them into long strips. 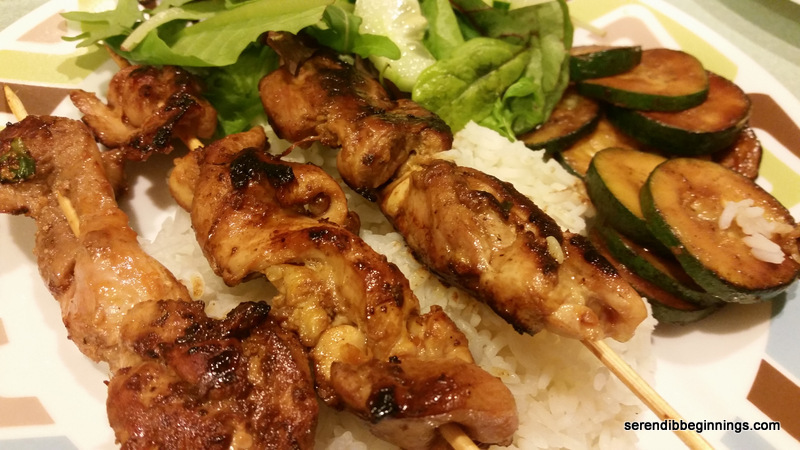 Other than that, you just let the chicken (on the stick) marinate for a while and cook! Don’t discard the marinade. Boil it up to make a delicious dipping sauce for your chicken on a stick! 1. Begin by preparing the chicken. Trim off excess fat and slice into long strips, about 1″ wide. Thread the chicken pieces through the skewers. 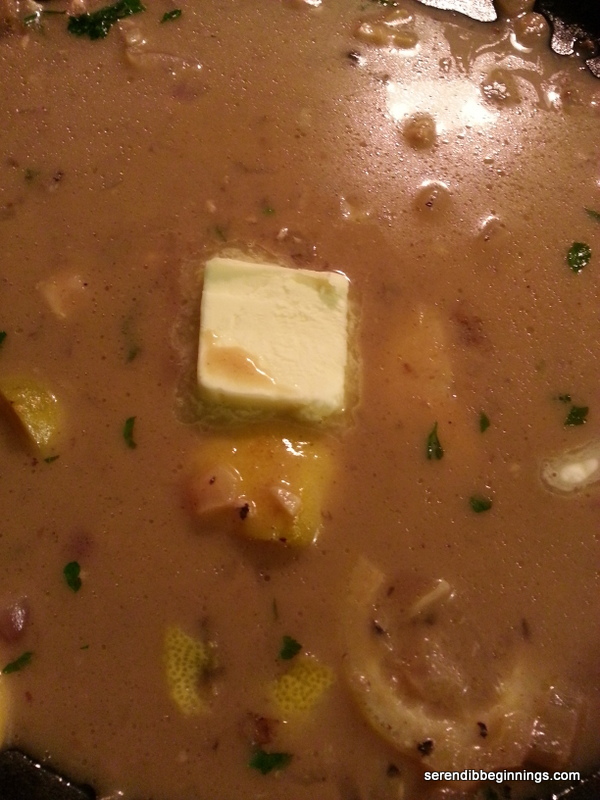 Set aside in a shallow dish while you prepare the meat. 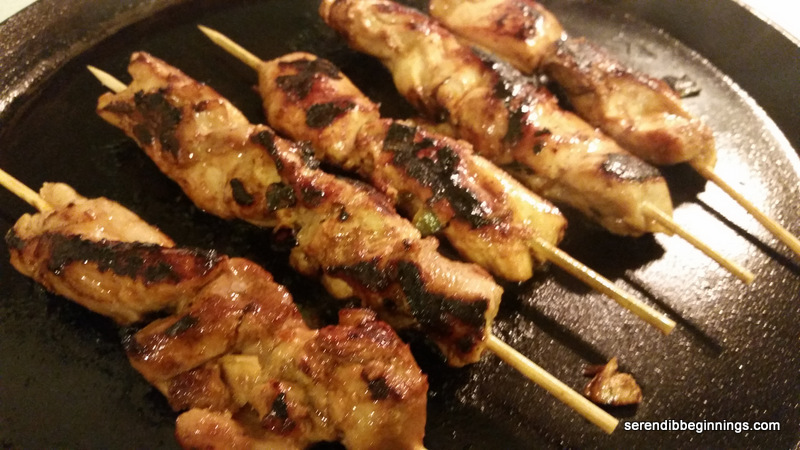 Alternatively, you can marinate the chicken and then thread through the skewers. 2. 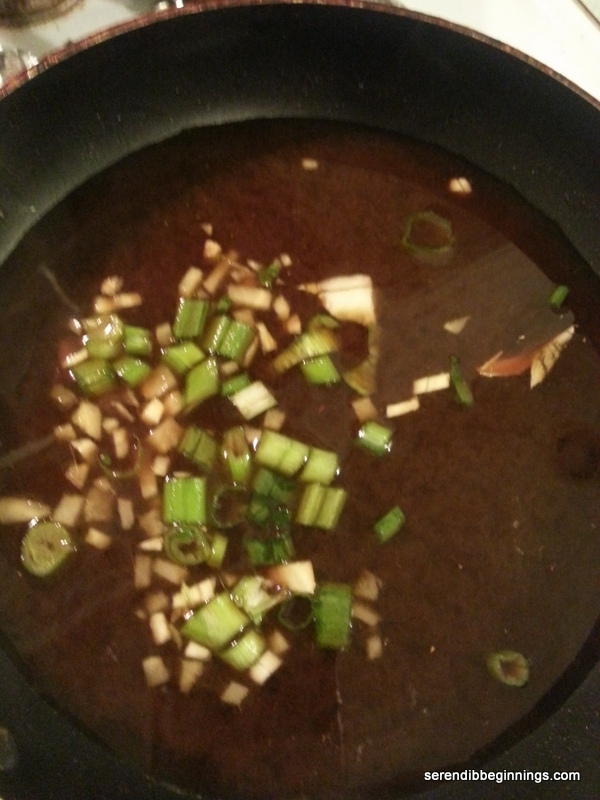 Prepare the marinade pan by mixing all the ingredients from dark soy sauce through crushed red pepper. Pour over the chicken, cover with plastic wrap and let marinate for about 15-20 minutes. 3. Heat a skillet over medium heat. 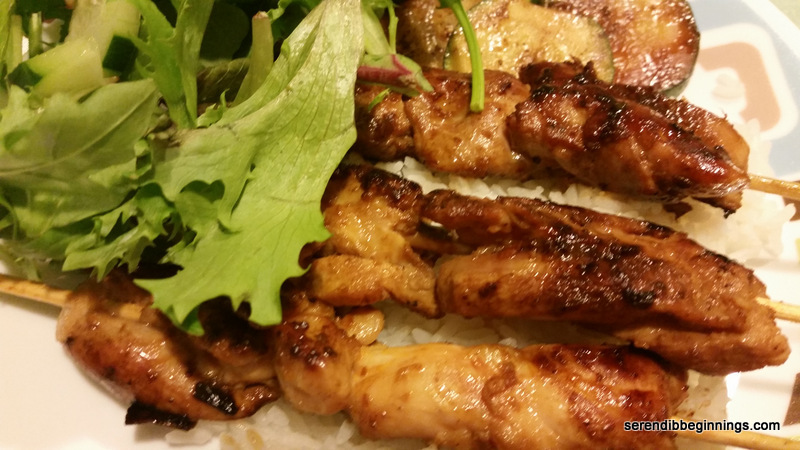 Remove the skewers from the marinade and drain the marinade into a small sauce pan. Place the skewers in a single layer and cook for 5 minutes on each side. Test for doneness. Alternatively, you can grill the chicken as well. 4. Add about 1/4 cup of water to the marinade along with the peanut butter (if using). 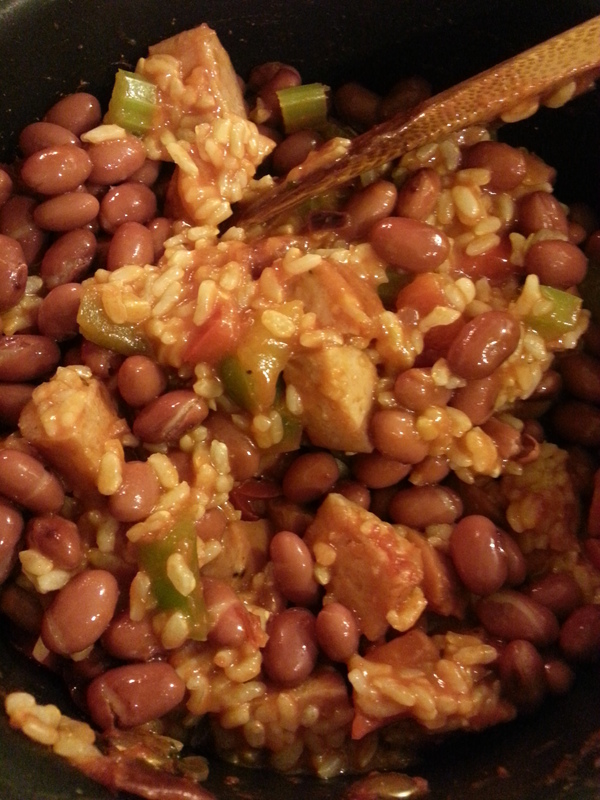 Bring to a slow simmer and continue cooking for about 3-5 minutes. 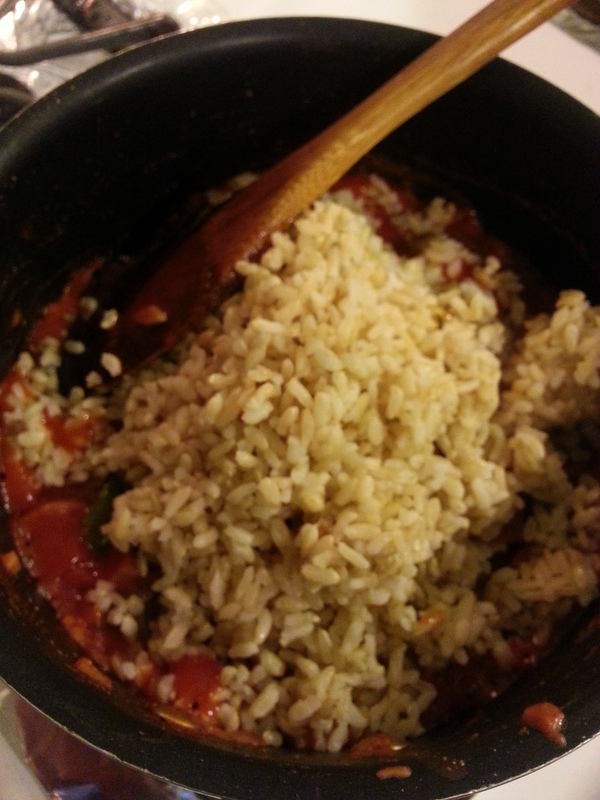 If the sauce looks too thin, you can thicken it by adding a bit of cornstarch. Taste the sauce and adjust salt/sweetness per your taste. 5. Serve the chicken with the sauce and a side of rice or salad. 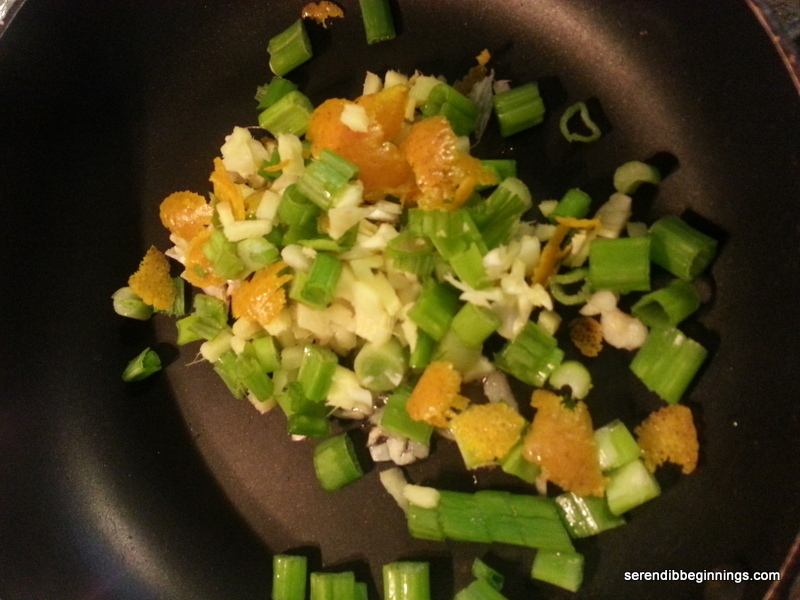 It started with sweet and sour chicken – “it” as in my kids’ introduction to Chinese food! Few years have passed since then and now their all-time favorite dish to order at a Chinese restaurant is orange chicken – crispy fried morsels of bite size chicken pieces that are lightly coated in an orange and soy infused glaze. If you are lucky to have had the opportunity to bite into one of these perfectly prepared chicken pieces, you can easily see why this dish is so popular with kids and adults alike. Having said that, not all orange chicken dishes are created equal. Actually not even close! I have had many an encounter with tiny crumbs of chicken clinging to their dear reputation in mounds of soggy breading/batter. There have been instances of good balance between meat and batter, but the meat could have seen better days. And there have been instances when both meat and batter were just right, except for the overload of barely wet dried orange rinds with overly sweet concoction of what is supposed to be a delicious orange sauce. Hmph! So, having had one of those episodes recently, I figured why not make a version at home that will hopefully not only taste better, but better for you as well. Chicken breast, oven “fried” rather than deep fried, just a touch of brown sugar rather than corn syrup or other concoctions??!! Yep, you got it! So, armed with all-white chicken meat, fresh oranges (for both the zest and the juice) and panko bread crumbs, I braved myself to trust my senses of taste and smell and recreate a dish that is enjoyed by my family, especially my kids. So, here is a disclaimer…I have not traveled to the Hunan province of China to really know what this dish is supposed to taste like. 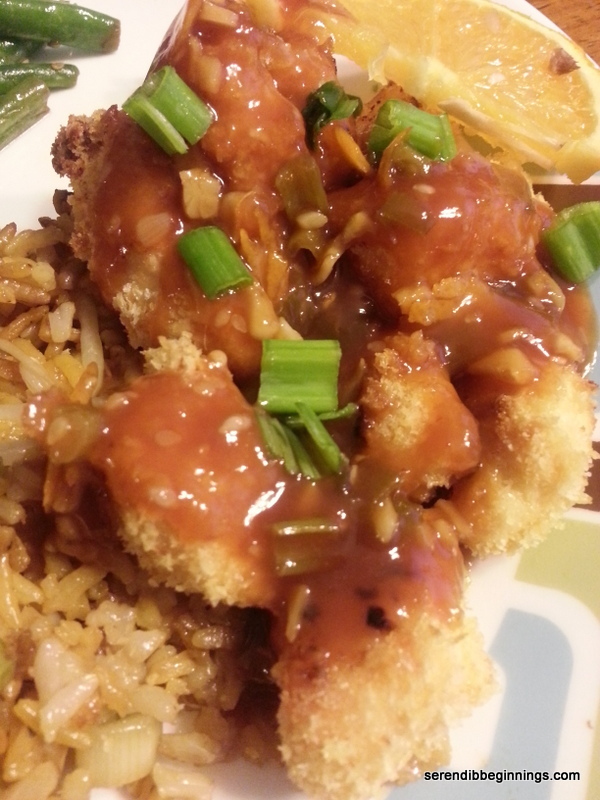 So, this is purely based on my experience enjoying crispy battered chicken coated in a citrusy/orange soy glaze. 🙂 Enjoy at your own will! Pad Thai is probably the most common Thai dish enjoyed in North America! 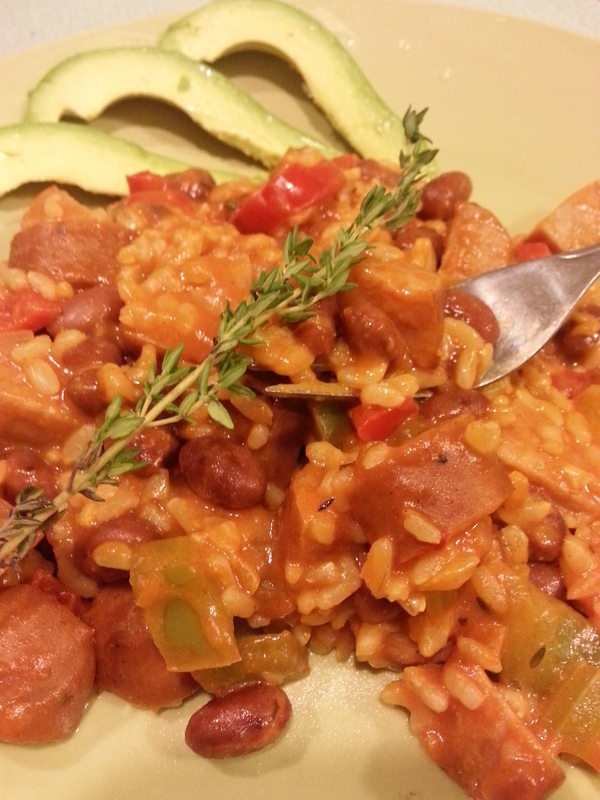 It is a dish that offers a perfect balance of flavors. One down side is that if you prefer spicy food, this probably won’t be your top choice at a Thai restaurant. I prefer Pad See Ew or other spicy options when we dine at Thai restaurants, but occasionally I do enjoy the delicate flavors of Pad Thai. 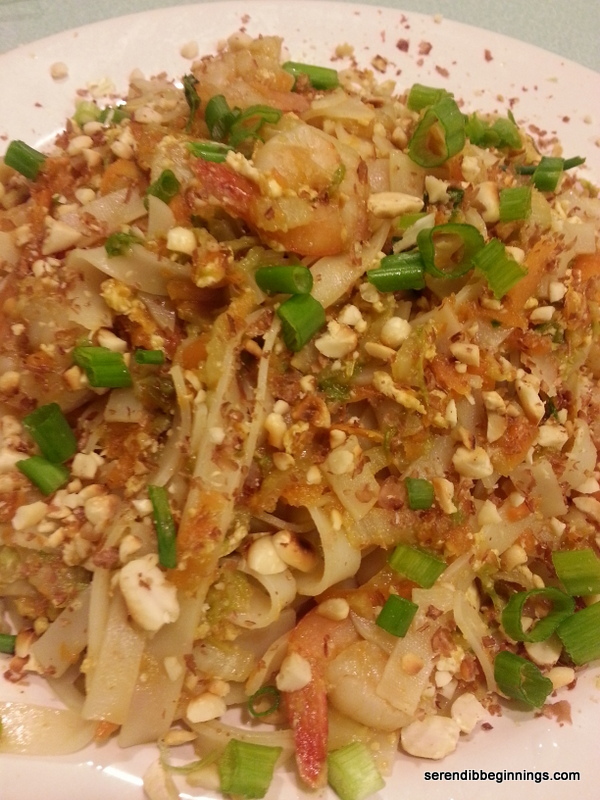 This recipe is inspired by traditional Pad Thai. 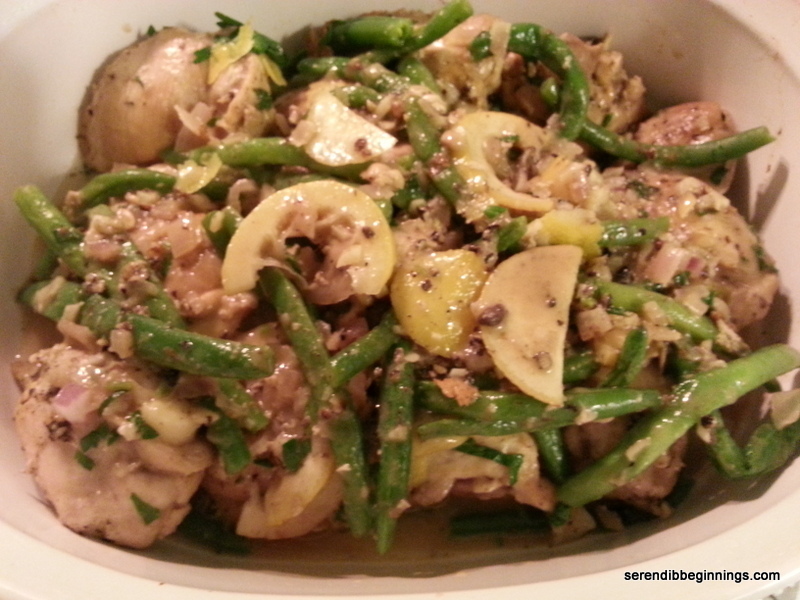 I say inspired because it uses different blend of sauces/seasoning and vegetables. Served with a side of crispy cucumbers, red onions and jalapeno in a sweet and sour dressing, this noodle will taste light and refreshing. 1. Bring a pot of water to boil and cook noodles according to instructions. Drain and set aside. 2. 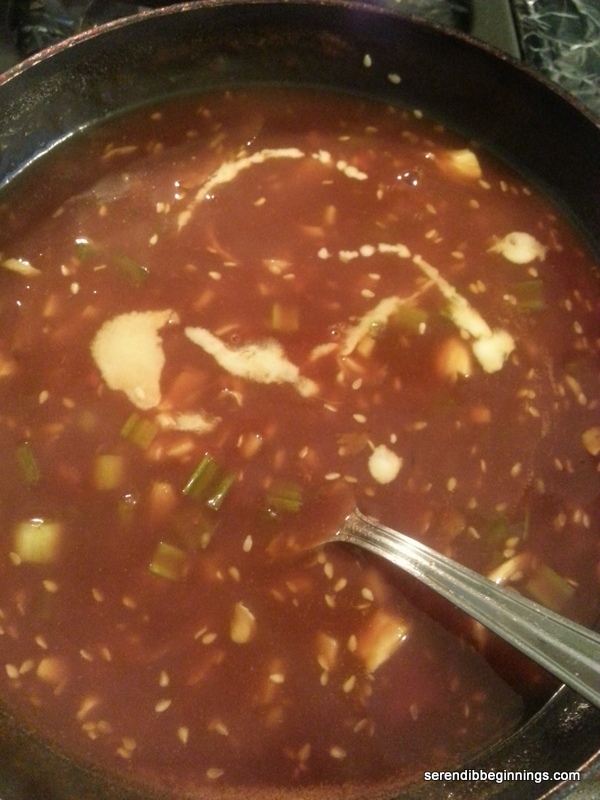 Prepare the sauce for the noodles by combining all the ingredients and simmering under low heat for 5-10 minutes. Remove from heat and set aside. 3. 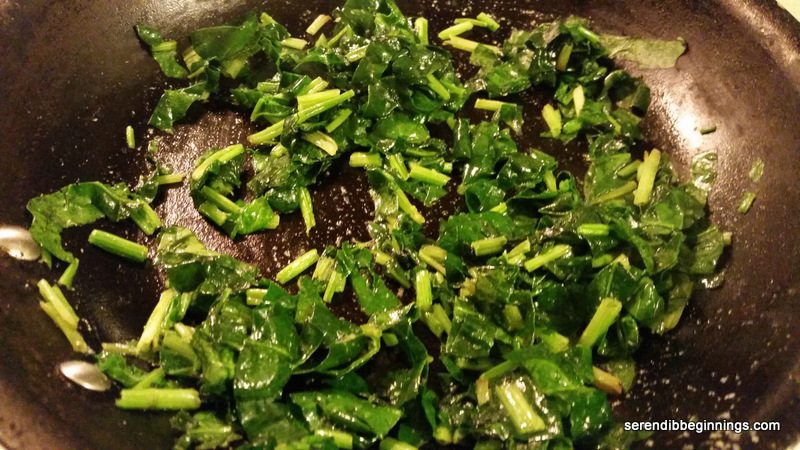 In a large skillet or wok, heat one tablespoon of oil under high heat. Stir fry shrimp (or chicken) coated in cornstarch till cooked through. 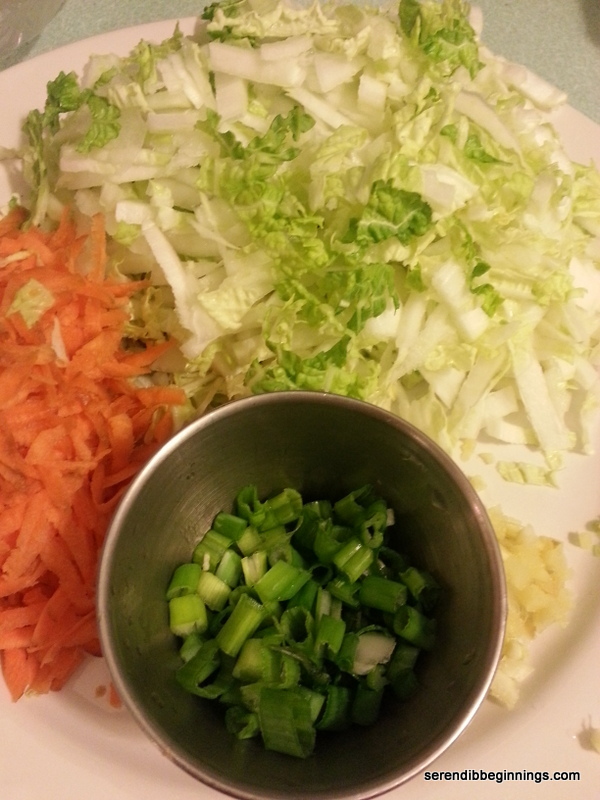 Remove to a plate and set aside till later. 4. 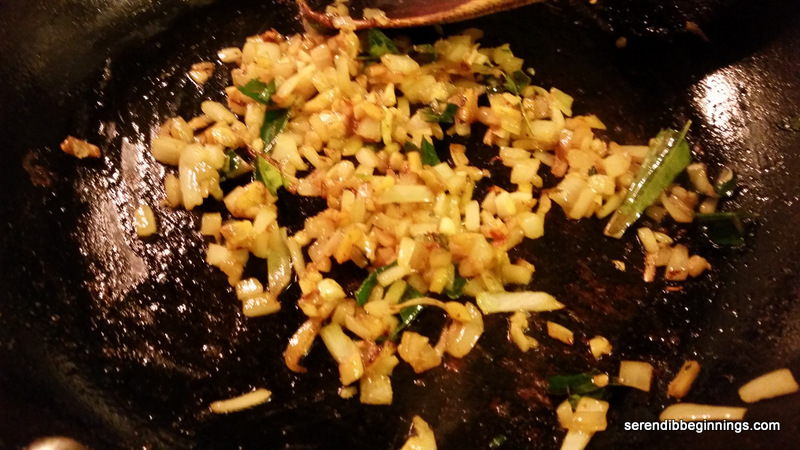 Add the remaining tablespoon of oil to the wok and add ginger and garlic, followed by all vegetables. Stir fry the vegetables for about 3-5 minutes. 5. 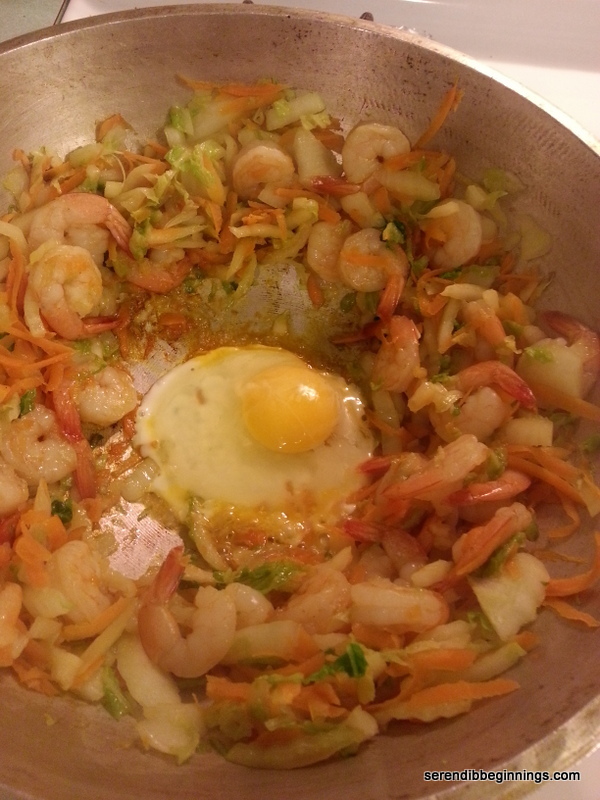 Add the cooked shrimp or chicken and follow with the sauce. Mix well. 6. Add the cooked noodles and gently toss to combine. 7. Serve immediately with a wedge of lime, a generous sprinkling of peanuts and a crisp cucumber salad! African continent, the Middle East, Indian subcontinent and Sri Lanka (other South East nations) all incorporate similar spices in various combinations to produce dishes with distinct flavor and taste! Most commonly used spices include cinnamon, cloves, cardamom, coriander, cumin, paprika, cayenne and turmeric. If you are an enthusiast of these cuisines, you would have noticed that whereas one dish might have a more pronounced taste of cinnamon, another might have hints of the different spices peeking through. African cuisine, as in other continents, differs widely across the continent in their use of spices, herbs and other seasoning including use of hot peppers for amped up heat. Moroccan food utilizes a blend of cardamom, cloves, cinnamon, paprika, coriander, cumin, nutmeg, peppercorn and turmeric (as in Ras el Hanout blend). 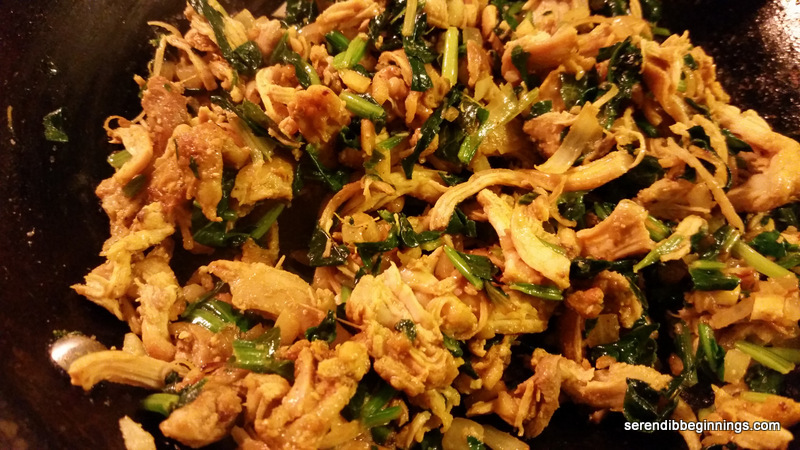 It results in a well-seasoned meat or poultry dish that is not typically spicy (as in heat). 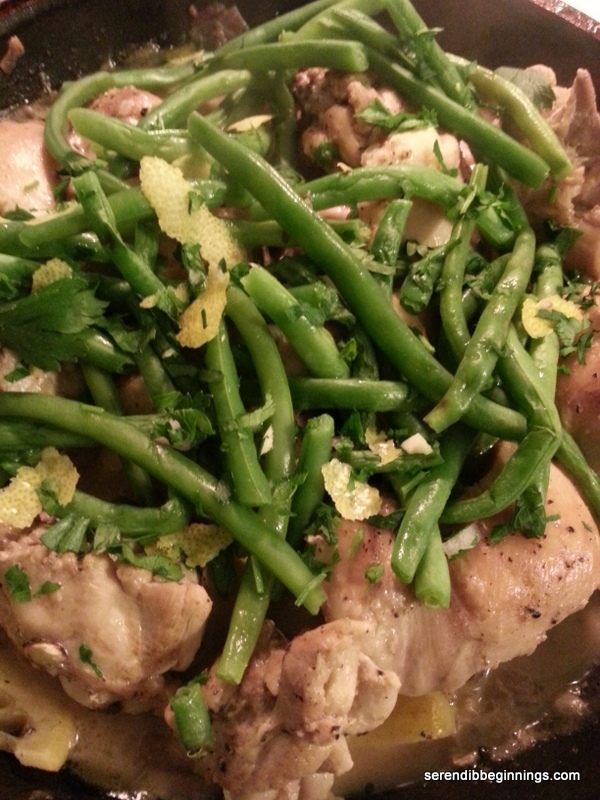 This dish is the result of wanting to infuse strong, yet enjoyable flavors into an otherwise, bland cut of chicken. I have been kind of staying away from the typical Indian/Sri Lankan curry flavors to try other exciting flavor combinations, and African flavors seemed to resonate with me this time around. After a quick inventory of spices on hand, I settled for a Moroccan inspired dish. Begin by roasting the dry spices. In a small pan, dry roast coriander seeds, cumin seeds, cinnamon stick and peppercorns till they are lightly toasted taking care not to burn them. This should take about 3 minutes under medium low heat. Using a spice grinder or mortar and pestle, grind the toasted spices to a fine powder consistency. Combine with paprika, salt and cayenne and blend well. 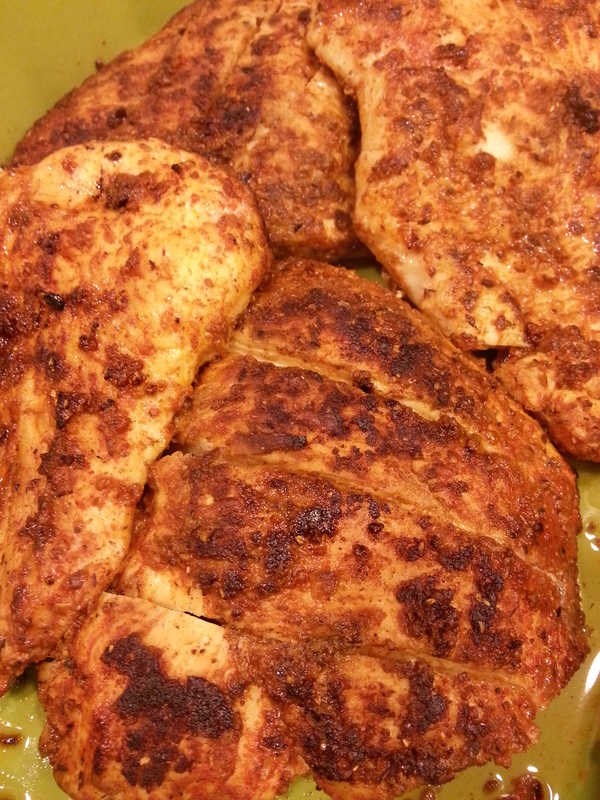 Wash and dry chicken breasts and sprinkle the spice mixture liberally on both sides. Cover and keep aside while you prepare the banana. 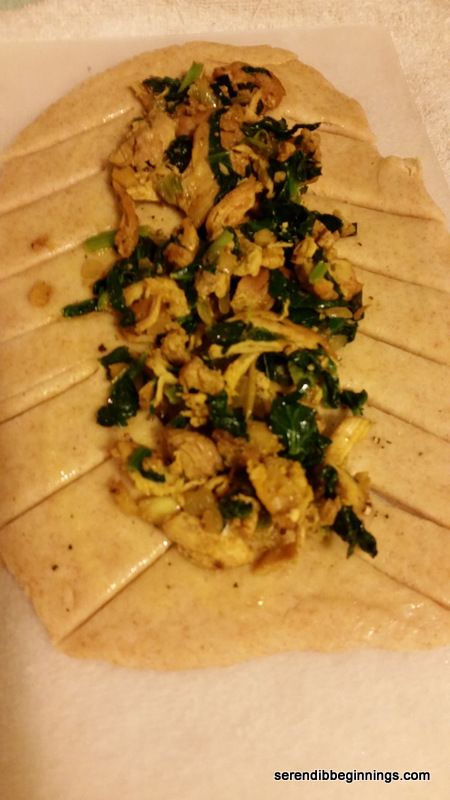 Peel the plantains and slice into ¼” slices or bigger. 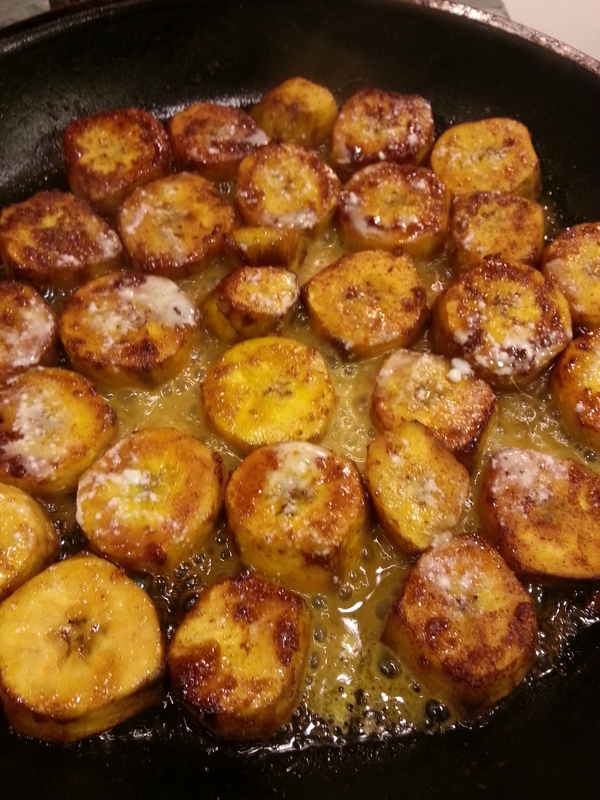 Melt butter in a large skillet and sauté plantain slices under medium low heat for about 3-5 minutes. Turn them over. 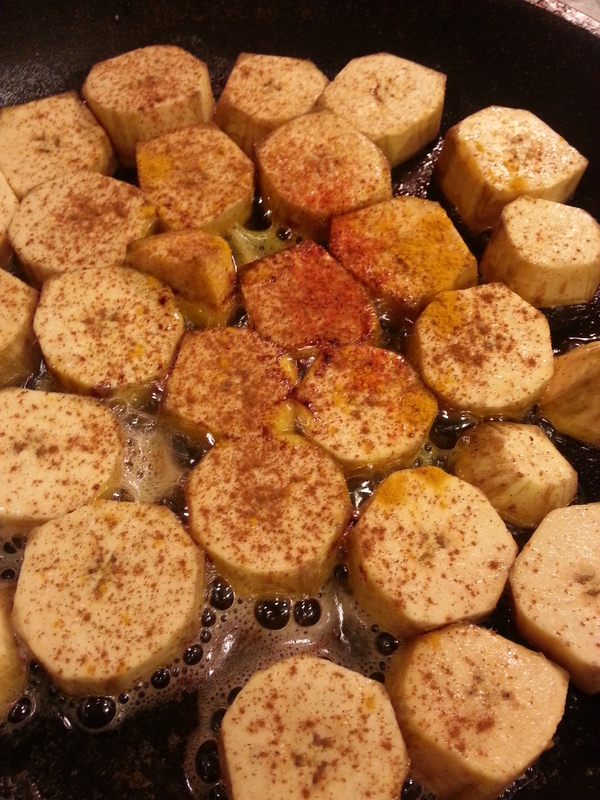 Sprinkle the plantains with cinnamon, salt, turmeric and cayenne and continue cooking for another 5 minutes. 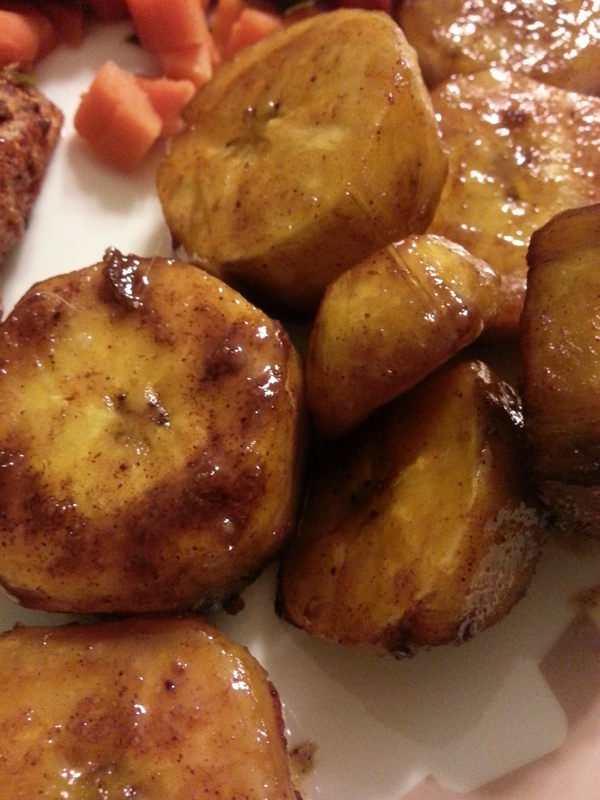 Plantains should now look caramelized. Transfer to a plate and keep covered while you prepare the chicken. 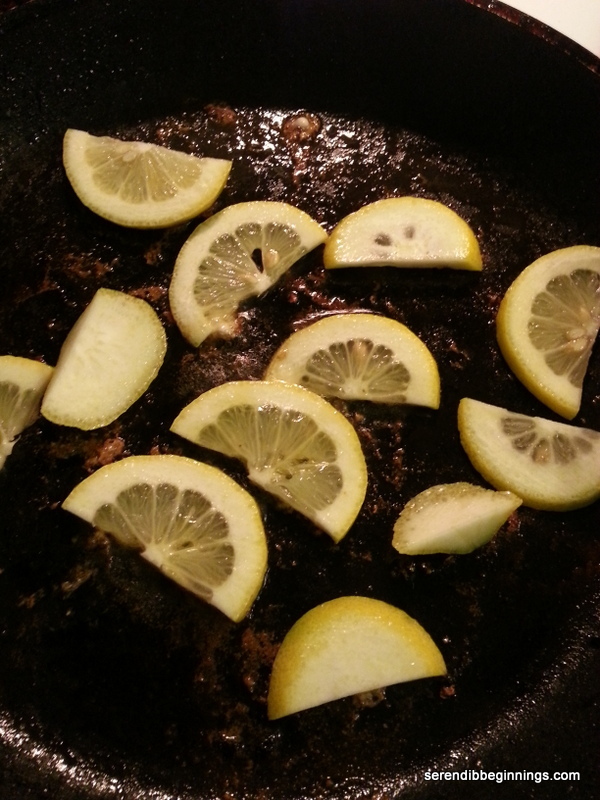 Heat the oil in a large skillet or grill pan. Conversely, spray the pan with cooking spray. 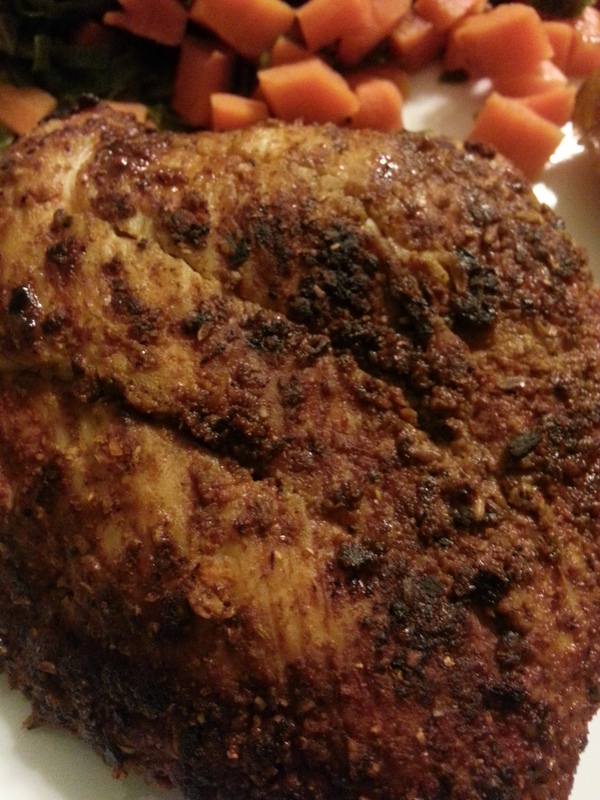 When hot, add the chicken breasts and cook covered for about 4-6 minutes on each side till the meat is cooked through. One way to test is to cut through the breast in the thickest part. Meat should look cooked through and juices should run clear. Another option is to use the meat thermometer. 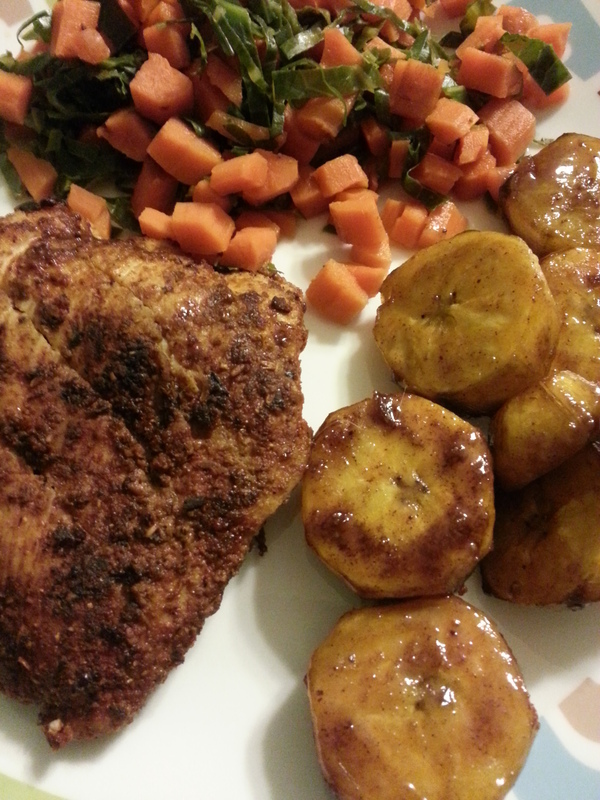 Serve the chicken with sautéed plantains and a vegetable of your choice (I served mine with carrots and shredded kale, cooked with a little bit of water till both vegetables turned tender). NOTE about plantains – Plantains will turn yellow and may even have black spots all over when they turn really ripe and sweet. 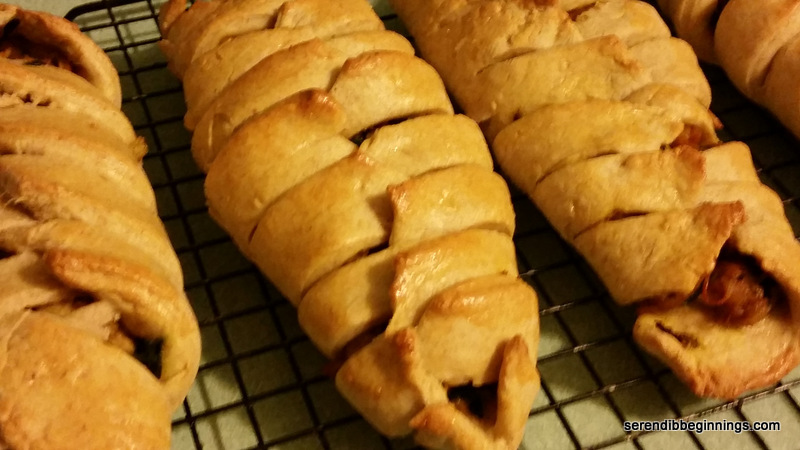 In less ripe form, they have starchy taste and flavor rather than sweet and fruity.